How I Whiten My Teeth? + GIVEAWAY! Hi Everyone! ♥ Hope you guys are doing well! My post will be about HOW I WHITEN MY TEETH today as I have the best experience to share! 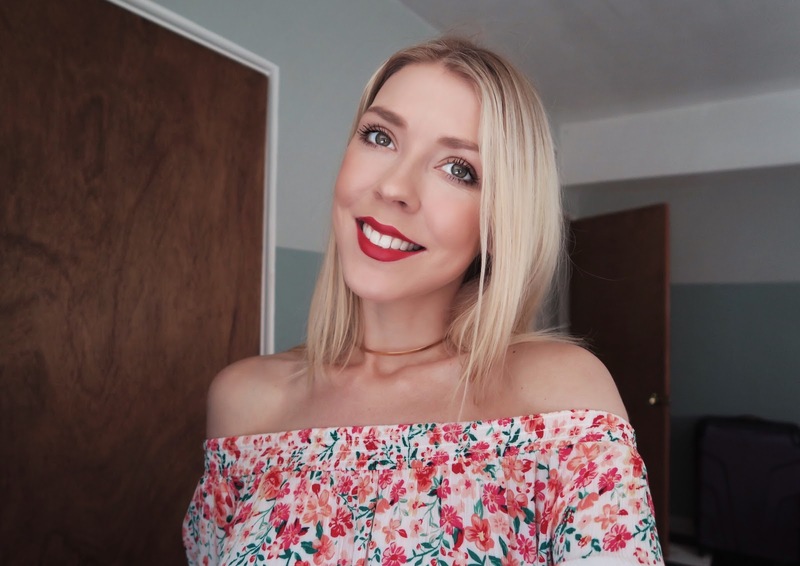 This was the very first time in my life I've ever decided to try teeth whitening, and it was in the comfort of my home right away! Don't we live in an amazing age? I decided to go for Smile Brilliant because I read so many great reviews on them and saw very convicing before and after photos online! 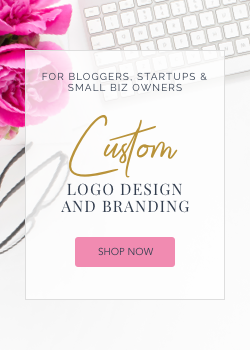 The whole process is super easy & quick! Anyone is able to do it! You basically start with ordering the system from their website and receiving your impression kit a few days later! 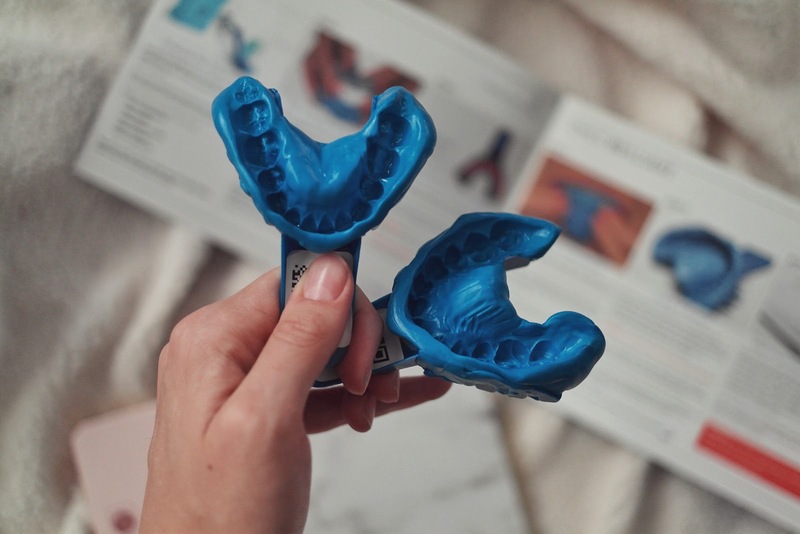 Then you simply follow the instruction guide, take your impressions, send them back to the lab and receive your final whitening trays after that! Then it's only up to you how often you do this procedure on your way to the snow white teeth! The more often, the better results, of course! But be aware of a possible sensitivity! I started with 45 minutes every other day and was able to work my way to an hour every other day! It's advised that you don't go over 3 hours and not more often than once a day! Come with me, I'll guide you through out the whole process and explain how it works! By mixing the base paste and catalyst paste you get a blue color mix that you put in the trays right before you take your impressions! Follow the instructions very well here, you want to work fast so the mix doesn't get too hard before you even touch it with your teeth! 5 days after you sent your impressions back to the lab, you will receive the final trays that you're going to be whitening your teeth with! Try them out! 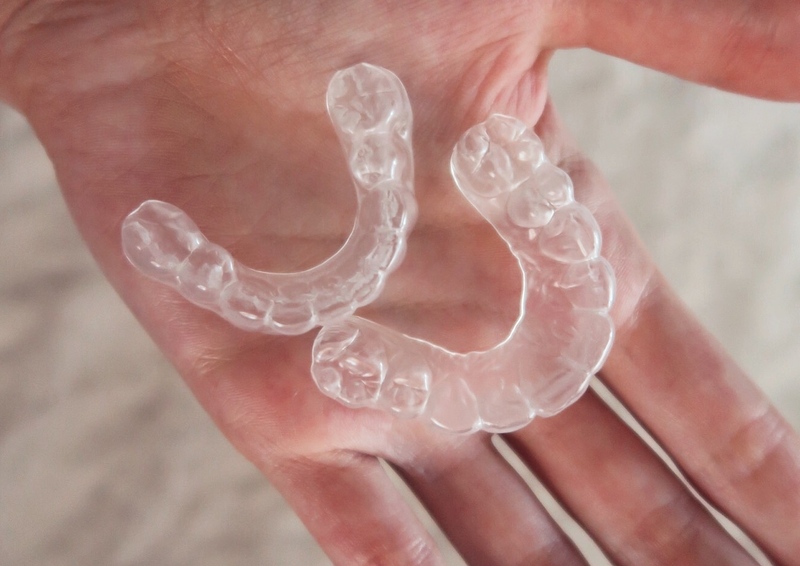 They should fit perfectly onto your teeth! Smile Brilliant is super easy to use & you get amazing results very fast! 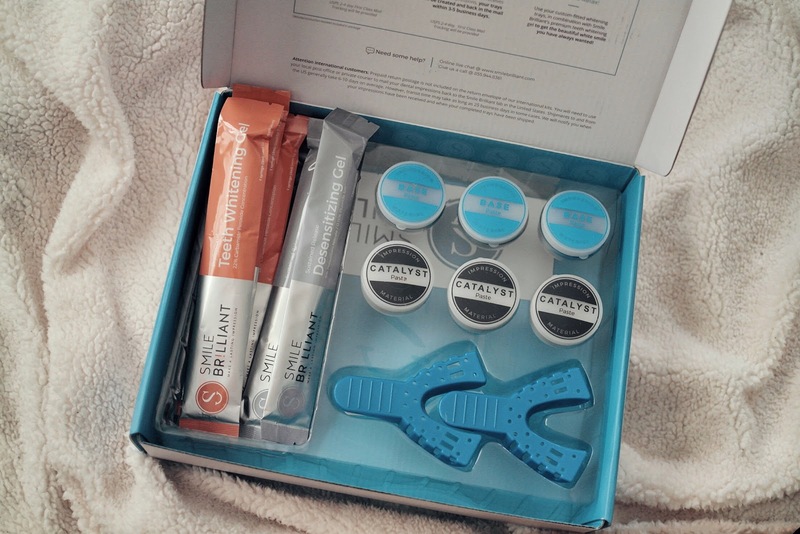 In the box you'll receive a teeth whitening gel and desanitizing gel that you use according to the instructions! My teeth were noticeably whiter after just the first use! I'm flaunting my new smile everywhere I go! If you want your white smile to last longer, avoid drinking tea or coffee too often (or ideally use a straw if you can't give up on it completely!). 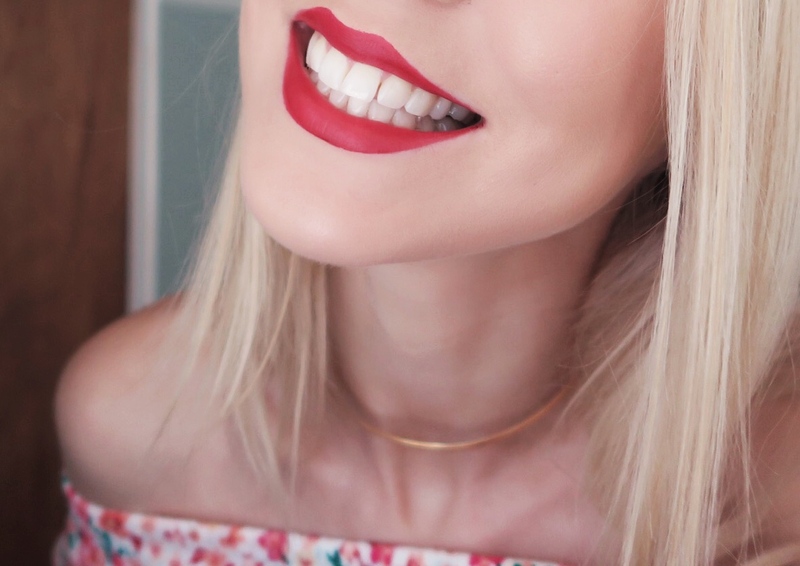 I honestly never really thought about my teeth not being perfect because I'd still get compliments on them - they are super straight and look nice (well they better after wearing braces for 3 years back in the days!). 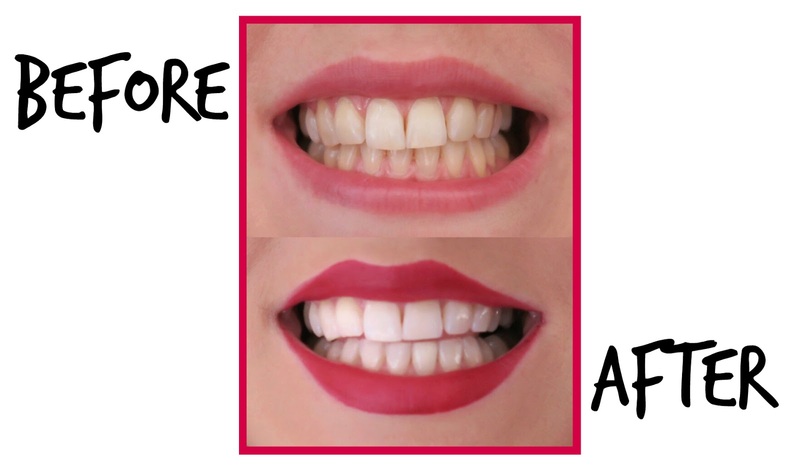 But then I put together this teeth whitening before and after photo and I was honestly shocked how stained my teeth actually were! I guess it's normal and it happens through out the life, even if your dentail hygiene is good. Tooth simply has a tooth color, and a special pigment for eveyone... and it doesn't necessarily always have to be white! It actually rarely is by nature! This post is sponsored by Smile Brilliant.